AYUB, ET AL. v. MINISTER OF DEFENCE, ET AL. MATAWA, ET AL. v. MINISTER OF DEFENCE, ET AL. (b) alternatively, even if justified for military needs, the requisition of the lands still constitutes a violation of rules of international law which the petitioners are entitled to rely upon in this Court. these are two separate grounds which must not be confused. An act of a military government in an occupied territory might be justified from a military, security viewpoint and yet it would not be impossible for it to be defective from the point of view of international law. Not everything that furthers security needs is permissible under international law. The High Court bench [...] analysed both grounds separately and, finally, unanimously rejected the petition. The leading judgment was delivered by Witkon J. [...]. rights of the parties before us, according to the current situation prevailing between Israel and the Arab States. This is a situation of belligerency and the status of the respondents with respect to the occupied territory is that of an Occupying Power. the prevailing situation is one of belligerency, and the responsibility for maintaining order and security in the occupied territory is imposed upon the Occupying Power. It also must forestall the dangers arising out of such territory to the occupied territory itself and to the Occupying Power. These days warfare takes the form of acts of sabotage, and even those who regard such acts (which injure innocent citizens) as a form of a guerrilla war, will admit that the Occupying Power is authorized and even obliged to take all steps necessary for their prevention. Therefore, the acts of the Military Commander are justified as serving either strict military needs or needs of general security or, obviously, both of them. 2. The Occupying State may take preventive measures against terrorist activities and acts of sabotage even in areas where they do not actually occur. it is indisputable that in occupied areas the existence of settlements – albeit “civilian” – of citizens of the Occupying Power contributes greatly to the security in that area and assists the army in fulfilling its task. One need not be a military and defence expert to understand that terrorist elements operate with greater ease in an area solely inhabited by a population that is indifferent or sympathizes with the enemy, than in an area in which one also finds people likely to observe the latter and report any suspicious movement to the authorities. Terrorists will not be granted a hideout, assistance or supplies by such people. Consequently, the Court held that the requisitions in question and the establishment of civilian settlements thereon actually serve military and security needs and are therefore in accord with Israeli internal-municipal law. In support of their alternative argument – challenging the legality of the requisitions from the standpoint of international law – the petitioners relied on provisions of both the 1907 Hague Convention (No. IV) respecting the Laws and Customs of War on Land and the 1949 (Fourth) Geneva Convention relative to the Protection of Civilian Persons in Time of War. Turning to this argument, Witkon J. first considers and rules on the preliminary question as to whether the petitioners, as protected persons, may themselves claim their rights under these Conventions in a municipal (internal) court of the Occupying State or, whether, only the contracting States to those Conventions are entitled to claim the rights of the protected persons and that, of course, only on the international level. In the words of the Court, the answer to this question depends on whether the invoked provisions of international law have become part of the internal-municipal law of the State whose court is asked to enforce it. A provision of an international Convention is part of the internal law – and, hence, enforceable in internal courts – if it forms part of customary international law, as distinct from conventional international law which binds only the contracting States inter se. With regard to provisions of the 1907 Hague Convention and the 1949 Fourth Geneva Convention, Witkon J. refers to three judgments of the Supreme Court in which both these Conventions were held to be part of conventional international law on which individuals may not rely in an Israeli internal court. However, following these judgments, Professor Yoram Dinstein published an article stressing that a difference does exist between the two Conventions and that while the 1949 Fourth Geneva Convention has remained part of conventional international law, the 1907 Hague Regulations, which in any case only express the law as it had been accepted by all enlightened States, are considered as customary international law. In light of this article, and after considering the views of Schwarzenberger and von Glahn, Witkon J. became convinced that the 1907 Hague Convention is generally regarded as customary international law, whereas provisions of the 1949 Fourth Geneva Convention remain conventional in their nature. Consequently the petitioners may rely in this Court on the 1907 Hague Convention – which thus forms part of Israeli internal law – but not on provisions of the 1949 ourth Geneva Convention. Since their contention as to the illegality of the settlements was totally based on Article 49 of the 1949 Fourth Geneva Convention, the Court lacks the competence to deal with it. b. Is the opinion of the Court on the extent to which requisitions by an occupying power are admissible compatible with that of the US Military Tribunal at Nuremberg in United States Military Tribunal at Nuremberg, United States v. Alfried Krupp et al. ? Which decision is correct? 4. Regardless of whether the land requisition served a military purpose, do such settlements directly violate the IHL provision prohibiting the transfer of the occupying power’s population into occupied territory? (GC IV, Art. 49(6); CIHL, Rule 130) What is the underlying purpose of this IHL provision? Is this purpose humanitarian? Would a voluntary settlement by Israelis, not done or assisted by the government of the occupying power, be permissible? Could military necessity or security reasons justify a violation of the prohibition of the transfer of the occupying power’s population into occupied territory? 5. a. Why does the Court declare that it lacks the competence to deal with Convention IV? Why is the conventional or customary status of Convention IV relevant to its applicability in this case, particularly since Israel is a State Party? Are conventional rules less binding than customary ones? b. May a State decide that international treaties become part of its internal law only if there is implementing legislation? Has the State an obligation to adopt such legislation? 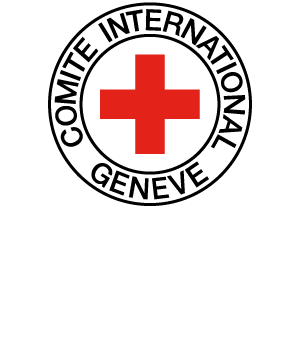 Does IHL oblige States Parties to allow the Conventions to be invoked before its courts? May Israel invoke its constitutional system, the absence of implementing legislation, or a decision of its Supreme Court to escape international responsibility for violations of Convention IV? c. Are the Hague Regulations applicable in this case? As conventional or as customary law? d. Does the Court explain how in its view (presumably all) provisions of the Hague Regulations are customary and (presumably all) provisions of the Fourth Geneva Convention are not? What could be the justification for such a distinction? How could Professor Dinstein justify the argument that all provisions of Convention IV are purely conventional? Are some customary law? Is Art. 49 of Convention IV customary law? How could one assess whether Art. 49(6) of Convention IV is customary or purely treaty-based, considering that out of more than 150 States less than 10 were not bound in 1978, as Contracting Parties, to respect that provision? Should one assess only the practice of those non-party States? Should one only assess whether Art. 49(6) was customary law in 1949? Were there no developments in customary law between 1949 and 1979? Why should Art. 49(6) of Convention IV not belong to customary law?